Visiting an event at an L.A. art gallery, a Palm Springs resident/ comedy writer had a chance discussion there about Impressionism. Little did she know it was with actor Cory Roberts, hot off the film The Bad Batch with Keanu Reeves, Jim Carrey and Jason Momoa. escape the congestion of L.A., laughing, reading her screenplays. He did not know she was funny lady Shari Verona, who wrote for the late Sherman Hemsley and many sitcom pilots. Even a re-write for a Will and Jada (Pinkett) Smith project. Three months later, Roberts and Verona joined one race; together; to obtain funding for these hilarious crossover comedies. It led to Miracle Hill Entertainment whereby both were compelled to start packaging these gems, skillfully written cost effectively. Though Verona’s loyalty has been with another company desirous of producing some of her other works, the two forged ahead. Miracle Hill acquired comedic Emmy nominated Editor Stephen Waichulis and some renowned actors who became a part of this diverse group with one common goal. To have funded top quality comedies with positive messages and realistic budgets. Shari Verona was continually receiving life-changing offers and not having the deals, nor others’ funding come to fruition. Cory, garnering momentum with his acting career, wanted to cherry pick outstanding roles. “She is consistently funny, showing longevity” reminiscent of a ‘John Hughes’. Sherman Hemsley compared Verona to a modern Norman Learr. Verona responded, “But Sherman, I don’t have eight million dollars to make your next movie”. He responded “No, but you have my next hit”! Shari told Cory about a gut wrenching letter years ago, from Preferred Artists Agency; something like “We have to pass. However, not representing you as a client has been the most difficult decision of my career”. Cory admits “I wanted to get on board but shockingly there was no ship. We built one and are now setting sail, joining forces. After reading these scripts, and blowing my mind, she later showed me a sitcom. It was great. There was no selling me. When you know you know”. Cory Roberts was garnering worldwide press and being called in by A-Listers for acting work. Though he does take on selective jobs, his focus is Miracle Hill Entertainment. The chance meet was a Miracle and the name of the road where their plans evolved. Photographer friend Kevin Joseph referred producer Rob Margolies who had a similar vision producing successful mid budget urban crossover comedies. Though Margolies is bi-coastal (New York to L.A.), his mantra was the same. Comedies don’t have to cost a fortune to produce when character and story driven. She has mastered the art. With Hulu, Amazon, Netflix, the market has opened up and there’s an insatiable appetite for product they possess. Though both principals are modest, they are aware. Cory Roberts has a Doctorate of Psychology and Shari Verona with an A.A. in English, jokes they are now surpassing those with B.S. degrees. This masterful group are also carefully selecting “a home” in the comedy genre. 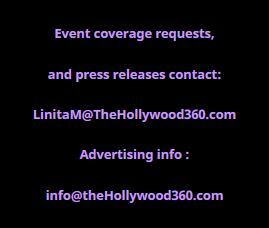 Investors should contact: MiracleHillEnt@gmail.com.